Dehydration occurs when your body does not have as much water and fluid as it needs to properly function. Dehydration can be mild, moderate, or severe. An extreme case of dehydration may lead to kidney issues, seizures, a drop in blood pressure, and possibly death. Although anyone at any age can become dehydrated, certain factors make older adults particularly vulnerable. As the body goes through the normal process of aging, its sense of thirst diminishes. Also, as we grow older, we naturally lose water as muscle mass decreases and fat cells increase (muscle holds more water than fat). In addition, some medications (common among seniors) act as diuretics which remove salt and water from the body. These include prescriptions for high blood pressure, congestive heart failure, liver failure, edema, glaucoma, and kidney function. Over-the-counter laxatives taken for constipation may also cause fluid and salt loss if used in excess. Certain chronic conditions, such as alcoholism, dementia, and diabetes can also result in fluid loss. Infections like gastroenteritis (stomach flu), a mild cold, influenza, or diarrhea for more than two days can play a factor in dehydration. Finally, mobility problems may make it difficult for the elderly to get themselves a glass of water. Contact your doctor if you suspect you or an elderly loved one are experiencing mild to moderate signs of dehydration. Go the nearest emergency room, or call 911 for more severe symptoms like confusion, high fever, headache, and seizure. Unlike their younger counterparts, seniors typically don’t make drinking fluids a priority in their daily lives. 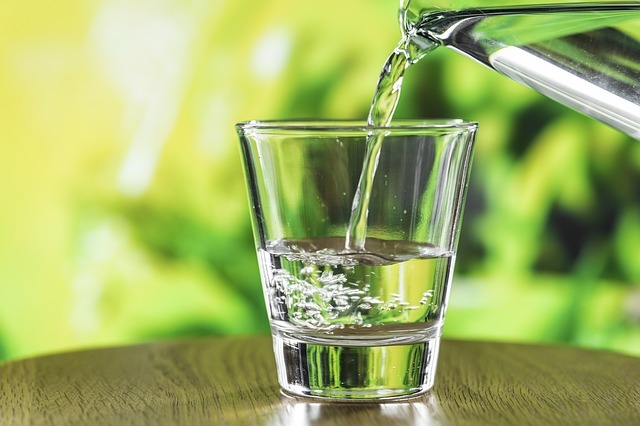 While the general recommendations are for adults to drink eight glasses of water a day, there is no hard rule as to how much fluid is needed to stay hydrated. Let thirst be your guide in determining how much water you should drink. And be sure to check with your doctor before increasing your daily water intake substantially since some medical conditions, such as congestive heart, require a patient to limit fluids. When you wake up start your day with a glass of water. Take sips of water, juice, or milk throughout the day. Have soup for lunch or dinner. Always have a cup or bottle of water with you when outdoors, or exercising, and gardening. When traveling, especially by plane, always make sure you hydrate before, during, and after a trip. Limit alcohol intake. Alcohol is a diuretic which will cause you to lose more water from your body. Continue drinking fluids during a UTI or other infection.